For the last 40 years, I have been a student of success. During that time I've read hundreds of biographies and manuscripts in search of the timeless principles of success. After studying the lives of the most successful people in history; people like Thomas Edison, Abraham Lincoln, George Washington, Thomas Jefferson, the Wright Brothers, Mother Theresa, Martin Luther King and countless others, I discovered a secret that changed my life. A secret so empowering, so powerful, that anyone who embraces it can use it to realize their fondest hopes and dreams. A secret that you can use today to create a better future. Are you ready to discover the secret? Well here it is... Great people were not born great. They became great by making a decision to pursue their dream in life and by refusing to give up. The struggle they faced on the road to their dreams is what made them great. The struggle forced them to dig down deep inside themselves. Only when they dug down deep inside, did they find their gifts. That's exactly what I did. When I was 21 I was watching the Olympics on TV. I saw this little guy who must have weighed 105 lbs and been about 5 feet tall. This 18 year old kid won the Gold Medal in figure skating – Scott Hamilton. Seeing Scott Hamilton win the Gold gave me hope. I said to myself, "If that little guy can do it, so can I. I'll compete in the next Olympics… I just have to find a sport." My strength wasn't athleticism. My strength was perseverance; in fact, my nickname in high school was bulldog. So I thought, "I have to find a sport so tough, a sport with so many broken bones, that there will be a lot of quitters. Only I won't quit. I'll get to the top by the attrition rate." I chose the luge. I went to Lake Placid, NY to learn this sport. It was brutal. Imagine laying on a sled, hurtling down an icy track at over 90 MPH. The first two years I crashed 4 out of 5 times. But I kept at it and the third year I went from crashing 4 out of 5 to crashing only one out of a hundred. I figured it out. And by then there was a lot less competition. The 4th year I was able to crack into the top 50 in the world and compete in the 1988 Calgary Olympics. I went on to compete in the 1992 Albetrville and 2002 Salt Lake City Winter Olympics. At the 2010 Vancouver Winter Olympics I became the first person to compete in 4 Winter Olympics each in a different decade. If someone like me can do that, then you can realize your dreams as well. You have God-given greatness within you. Your greatness will be revealed as you pursue your dream. And you will accomplish extraordinary things if you consistently and persistently follow the principles of success laid out in my posts. These are the same principles I learned from studying the greatest people in history. You can learn to unlock your special powers to attract whatever you want in your life. It's just a skill. Give yourself a chance to learn the fundamental skills that lead to success, and you will hold the power to create your own future. Learn the principles of success and use them to propel yourself or your organization to victory. 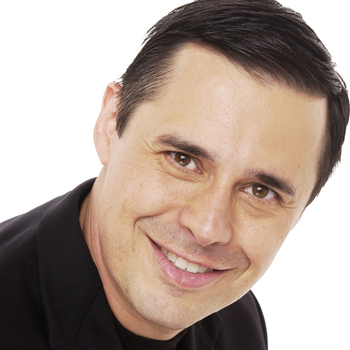 Ruben Gonzalez is a four-time Olympian, a bestselling business author and an award-winning keynote speaker. For information on how to bring him to your next event, visit PremiereSpeakers.com/Ruben_Gonzalez. It takes a special person to be a leader.